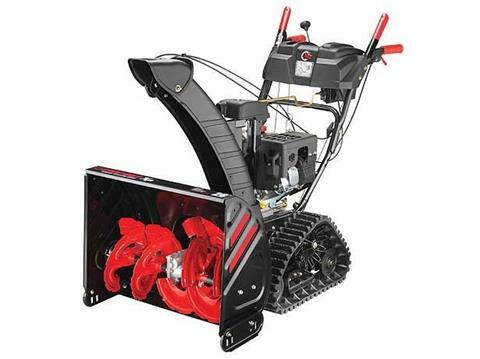 The Storm Tracker 2690 XP two-stage snow thrower features Just One Touch™ electric 4-way chute control, a 26 inch clearing width, Touch 'n Turn® power steering and heated hand grips, plus the new D-Track drive system. The diamond shaped drive system keeps over 15 inches of track on the ground at all times for superior traction in all weather conditions. Three different SelecTrac Drive modes shift the unit's weight for optimum performance on hard-packed or icy snow or on gravel driveways.